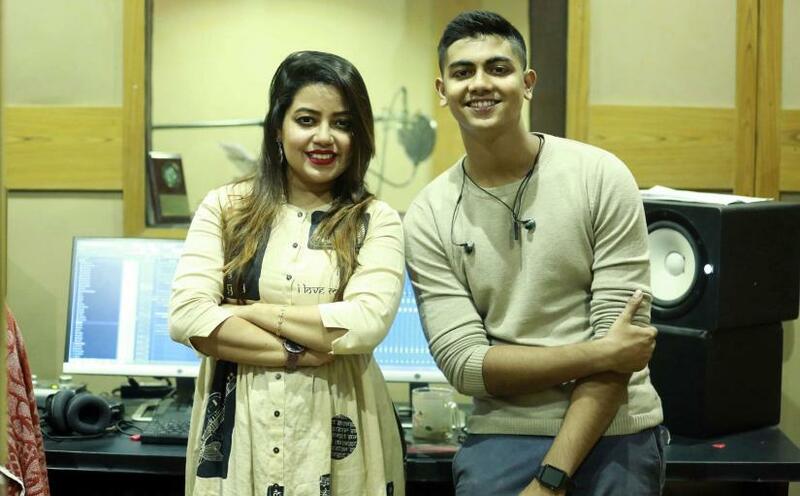 Popular singer Dilshad Nahar Kona has teamed up with Mahtim Shakib, who gained huge following on his YouTube channel, for a duet. Directed by Mohammad Mostafa Kamal Raz, Nushrat Imroz Tisha and ABM Sumon will star the web series. Speaking to the Bangla Tribune, Raz said, “From the beginning, I had a plan for a duet for Kona with Shakib. They have sung very well. The lyrics are composed in line with the story of the web series. If the listeners like it our effort will be a success,” Raz said. Mathim said: “It was my first duet, and I was so lucky to get to sing the song with a legend like Kona apu. It was an amazing experience." Music director Naved Parvez tuned and arranged music for the song, while Johny Hoque penned the lyrics. “Director Raz told me the story and asked me to write a song based on the plot,” Johny said in a conversation with Dhaka Tribune. “Naved sent me the tune and I wrote the lyrics while I was visiting Kolkata. Johny said the song would be released on YouTube at the end of this month or in January once the election season is over.